In 1633, the Daughters of Charity were founded in Paris, France, by St. Vincent de Paul and St. Louise de Marillac. 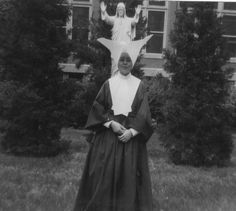 Deeply concerned with the poverty and suffering surrounding them, they brought together a group of young women who shared their dedication of helping the poor and the sick. These first 12 peasant girls were unlike other Sisters at the time in terms of both social and economic status and their desire to live and work among those in need. 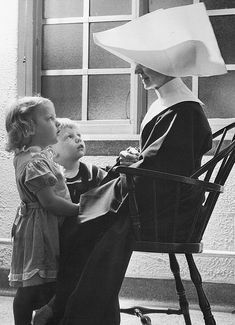 This challenged conventions when Sisters predominantly lived cloistered lives with less interaction with individuals suffering in the streets. 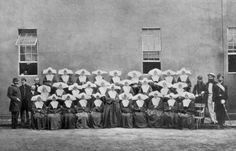 Working as a young group of Sisters, the newly formed Daughters of Charity set up soup kitchens, organized community hospitals, established schools and homes for orphaned children, offered job training, taught the young to read and write, and improved prison conditions. At the start of the Daughters of Charity, St. Louise dedicated the Community to the Blessed Mother. In 1830, Our Lady appeared to St. Catherine Labouré, a Daughter of Charity, and entrusted her with the Miraculous Medal. The Daughters’ Motherhouse in Paris marks the location of St. Catherine Labouré’s apparitions of Our Lady of the Miraculous Medal. 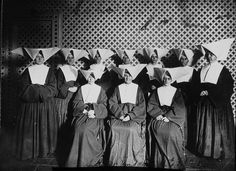 In the 19th century, inspired by the work of these original Daughters, St. Elizabeth Ann Seton founded a community of Sisters in the United States that later joined with the Daughters of Charity in France. This became the first community of Daughters in the United States.